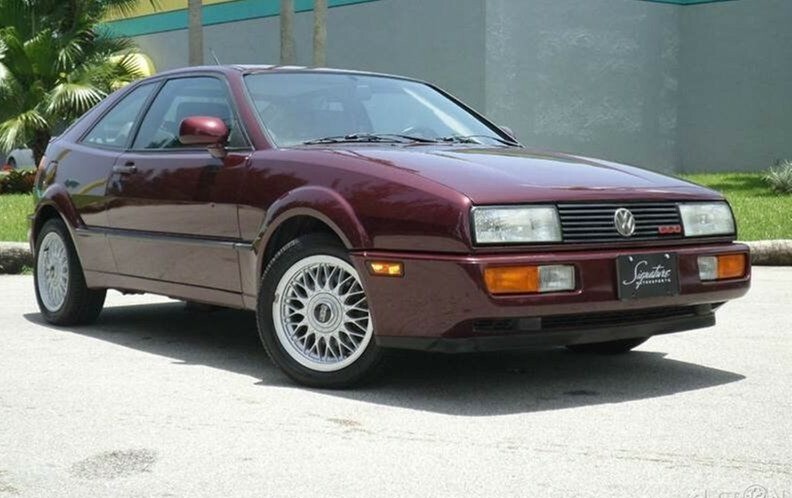 The Corrado has always been one of my favorite cars. To this day, the styling is among the best I’ve ever seen come out of Wolfsburg, and clean Corrados still look surprisingly new when you see them on the road. This example here on eBay is a 1991 G60 model, supercharged from the factory. Sadly, it is saddled with an automatic transmission which is less than ideal for a car that relies on boost to make speed. It’s a shame, because this car appears to be a survivor-grade example when many have been extinguished from the roads either due to abuse or excessive repair costs. Of course, it could be that slow-shifting auto that kept it from such fates. The seller doesn’t offer much in the way of detail, which you’ll want before committing to buy – but for $3,900, you could likely make most of that money back by parting it out if it turns out to be a dog. A manual transmission is mandatory. No fun = no sale? Agreed. Not sure what VW was thinking selling a sporting car like this with an auto. While a manual is always the ideal sporting setup, realize that boost is made by RPM’s and an old study showed a better HP/TQ curve with an automatic as the revs dropped less with an automatic than with a manual, unless you;re power shifting, which is never good in most street cars, THat said maintaining higher RPM’s maintains higher intake (boost) pressure. RPM + Turbo/Supercharger = more boost. No harm implied.